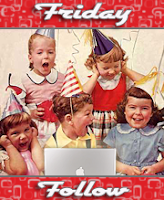 Happy Birthday Author: Friday Follow and Book Blog Hop! Friday Follow and Book Blog Hop! I welcome everyone from these 2 events. I have two book giveaways available for you today. I hope you can become a new follower of my blog that celebrates authors and their birthdays. 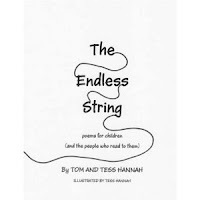 This is a great poetry book for children 4 - 12 years of age. There are over 60 poems for you to enjoy with your family. There are also lesson plan ideas listed in the post. Found you through the Book Blogger Hop! :-) I like your blog. Hi! Thanks for stopping by to follow my blog. I now follow you, subscribed by email, like you on facebook and follow you on Twitter. Have a great weekend! fun idea... i am following you back. Stopping by to thank you for stopping by and also to return the follow! Have a marvelous Mothers' Day! Thanks for following from FF! I loved your post on Peter Sis. I am an avid book lover. you have THE coolest site! I love this concept! Do you only do children's authors or ALL authors? I actually found you when I was finally reading through again all of my blogmania emails now that it has calmed down! Way way cool!